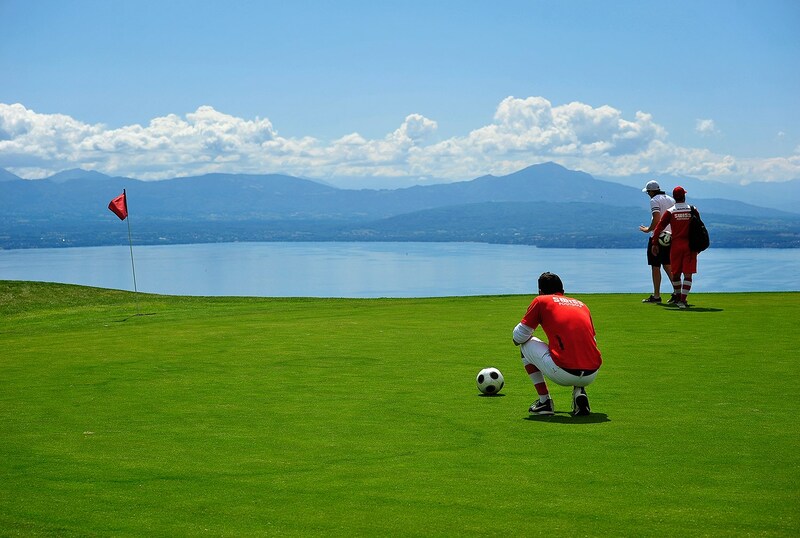 The 2018 Swiss Footgolf Trophy, The Classic will be in Golfparc Signal de Bougy this weekend. The FIFG 500-tournament is part of the European Footgolf Grand Slam. Ten of the top 20 in the world ranking is going to compete in Switzerland. Another interesting tournament is on the horizon. Golf Parc Signal de Bougy are located near Geneva Lake. The course is perfectly integrated in its attractive, hilly natural surroundings in a picturesque wine village along the southern cliff of the Waadtländer Côte. From the fairways, players enjoy a majestic view of the lake, Mt. Jura and Mont Blanc. Beside the landscape the Swiss tournament has other attractions. For example, 10 of the world ranking Top 20 are going to Switzerland. The tournament called The Classic offers total of €8700 cash prize. If you play the pair competition, you cannot practice before. No Replies to "A real Classic in the Alps"